Now you can puzzle your very own Eiffel Tower with this sturdy 216 piece 3D Puzzle. 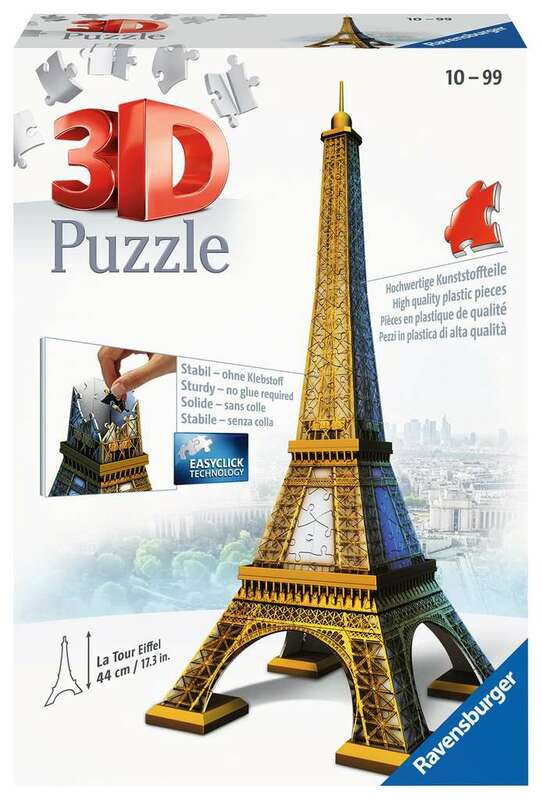 A brand new Ravensburger 3D jigsaw concept using the latest puzzle technology from Germany! This puzzle uses unique hinged plastic pieces, which slot together to build a sturdy and strong "building". No glue required! 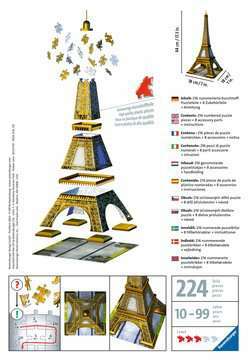 Puzzle has got 216 high quality plastic pieces and measures 44cm tall when complete. Each puzzle piece is printed with a number on the reverse side, so you can either assemble the puzzle by eye, or just by following the numbers. Puzzle comes with a printed base board, so it can be displayed on a shelf or table top. 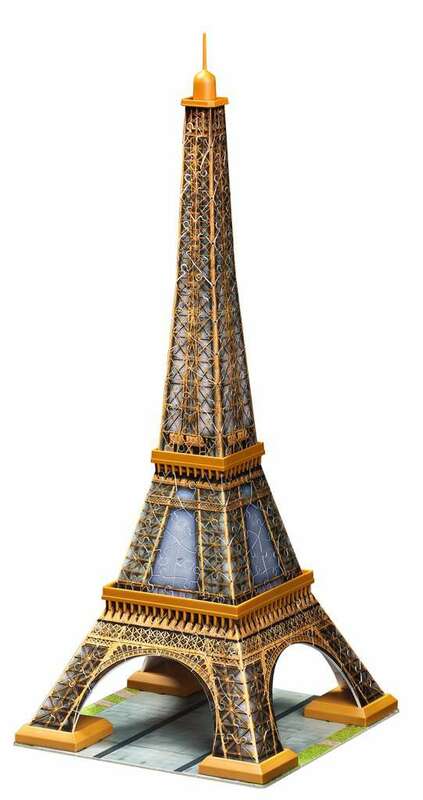 Enjoy some of the world's most famous buildings in your own home!